The Holden Torana was one of Australian’s mid-size car manufacturers during the 1967 to 1980 timeframe, also known for its performance cars because they were Australian’s first. 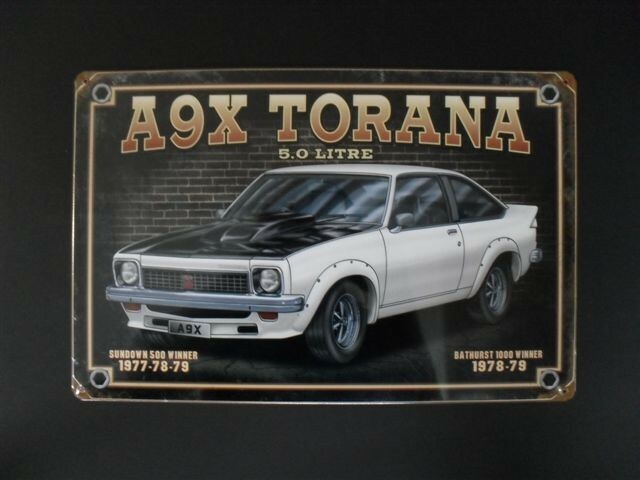 In fact, Torana means ‘to fly’ in Aboriginal. 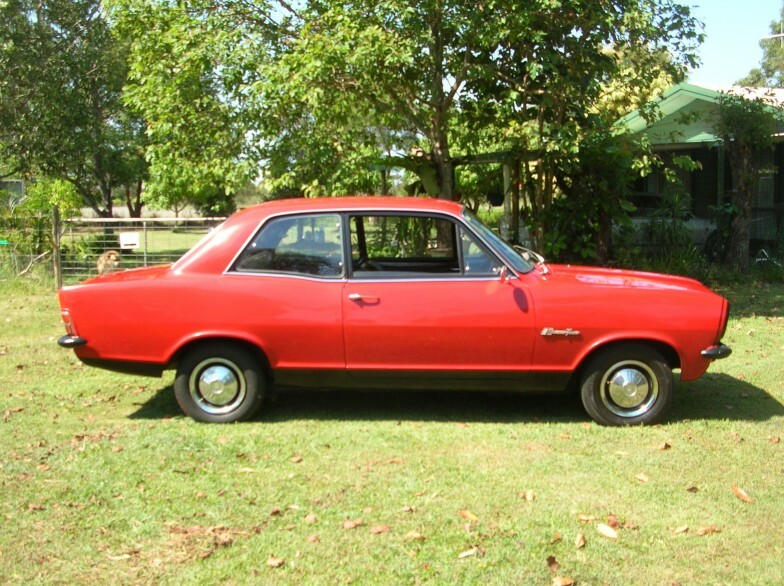 The very first Holden Torana was the HB series four-cylinder manufactured and released in 1967. This vehicle was very similar to the British version of the Vauxhall Vivas built and released in the 1960s as well. By 1969 to 1973 Holden upgraded with a new LC and LJ series which included the six-cylinder vehicle versions and an eight-cylinder version in the LH and LX series by 1974 to 1977. From this point on the series and models always included a four-cylinder, six-cylinder and eight-cylinder option. As mentioned before, Holden produced the first Australian performance vehicle with the LC Torana GTR XU-1. This vehicle was manufactured and released in 1970 eventually leading to the release of the Commodore. The Torana has always been Australia’s most successful performance vehicle in circuit racing. In the late 1970s legal obligations due to safety concerns required Holden and other vehicle manufactures to reduce the V8 engine emissions and vehicle modifications causing the UC Torana and the Sunbird a downward spiral in production and releases. Eventually by 1979 and 1980 the Torana and Sunbird was discontinued. Four-cylinder vehicles in Australian became quite popular in the 1960’s and it became apparent the Holden name and this type of vehicle was needed after the British unavailing of the Vauxhall Viva in 1964 in Australia. Sales were not what they were expecting, but in 1967 when Holden released a newer version of the Vauxhall Viva under its name with a few tunes ups the new Torana was producing and selling well against its competitors. Many Aussie’s enjoyed the change and movement from family sedan allowing for multiple options. The sporty thrill of this car gave drivers a fun ride and the four-speed box was a great addition allowing for more power and movement. During this time frame, sport and performance cars became quite popular as well. General Motors began developing a four-cylinder performance vehicle to compete with the Mini Coopers and Ford Cortina GT 500. This led to Jack Brabham (Sir John Arthur “Jack” Brabham) a racer and expert in the field to become involved in the first performance-oriented Torana vehicle. Although he did not develop the concept, his name did get put on the new racing vehicle. However, that may not have been the best decision of his life because of its lack lustre performance. The Brabham was a stock Torana with performance-oriented parts such as twin Strombergs, air cleaners, front disk brakes, and an exhaust system with triple resonators. Unfortunately, its top speed reached a maximum of 85 miles per hour (137 kilometres), which barely competed with other vehicles. However, it was the first performance vehicle for the Torana so lessons were learned and they would carry forward. 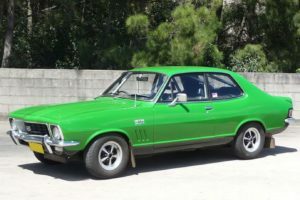 As the 1970’s approached performance vehicle enthusiasts grew and Holden produced one of the most important vehicles of its time with a six-cylinder Torana. In late 1969 a press release was made public with the new LC Torana GTR. A gorgeous two-door red inline 6 ‘161 motor’ with a four-speed gearbox that included front disc brakes, instrumentation, and a gorgeous body style. The GTR was converted into a quick performance vehicle with top speeds reaching 105 miles per hour. In fact, the stock version of the car could reach 105 miles per hour and 90 miles per hour in third gear in only 17.2 seconds. The GTR had twin exhaust with air cleaner, manifolds, and exhaust values with springs. The Holden Torana LC GTR was finally right in line with its competitors, such as the 253 GTS and the Monaro’s in performance, comfort and price. Holden was getting closer and closer to beating the Monaro at Bathurst and the range of vehicles being produced by Holden were becoming more popular with loads of excitement. Holden was manufacturing and releasing its new line-up quicker than its competitors, such as the XU-1 version of the GTR. The Torana GTR set the stage for the Torana to compete and redefine performance cars in Australia. The GTR was different than most other performance cars in that it remained small and compact on the inside removing the need for extra sedan room like other performance cars. The difference in Holden’s performance cars is that they were in fact different than the other sedans. For example, the Monaro was nothing more than a standard Kingswood package with a few upgrades. Holden did a fantastic job of setting a part the performance from the sedans. In fact, Holden’s next move was the release of the XU-1 nine months later manufacturing 700 cars initially. The XU-1 was even faster than the GTR hitting top speeds of 125 miles per hour in only 16 seconds (202 kilometres). This vehicle was specifically designed for racing ensuring that its engine and parts were built for it. The only part of the engine that was weak was the gearbox, which still used the four-speed Opel from the first Holden released in 1967. Other than that the vehicle had everything it would need to win on the circuit. Additional changes were made to the LC XU-1 with a better clutch, thicker disc brakes on the front, a better head, new pistons, and a higher lift cam. This allowed for over 6000 rpm. The additions were upgraded just in time for the 1971 Bathurst race. Several XU-1 raced at Bathurst leading to three vehicles in the top ten with a 4th place, 8th place and 10th place ticket in the race. Soon after this, by the fall of 1972 a new version of the XU-1 was released with the LC XU-1. Some physical modifications were made with a rectangle grill, back end changes, and additional interior upgrades. However, most of the changes were mechanical with a new four-speed 202 engine including triple Stromberg carburettors which equalled 190 brake horsepower (560 rpm). These changes did not make the vehicle any faster, but did ensure a smoother ride. However, the LJ version of the XU-1 was more of a performance racer. The Torana XU-2 was the next generation of XU-1 that would have been produced as a XU-1 with a V8 engine dubbed the XU-1 V8. However, in June of 1972 public outrage led to controversy relating to supercars and performance cars because the manufactures were trying to create cars that would reach top speeds of 160 miles per hour. Unfortunately, a ban caused Holden to move away from the XU-1 V8 leading to its demise. With Holden not being able to use the prototype XU-1 at Bathurst in 1972 a 202 engine was used with a few changes allowing Peter Brock to drive to a very close victory. In 1973 and 1974 the XU-1 was revamped with some changes to the exhaust, the head and values. By the time Bathurst came around the engine included better components and the brakes were improved. 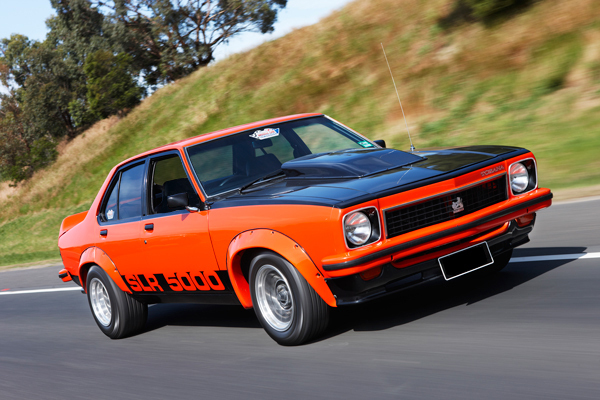 The next series of Holen Torana’s featured the LH. The LH SL/R 5000 was the V8 version of the vehicle which include a 5.0 litre engine. However, it was not any faster or powerful than the XU-1. In fact, it was only 0.1 second faster and ran 15.9 seconds on a quarter mile track. However, it was a comfortable ride with great handling and quiet as could be compared to its predecessor. The goal of this vehicle was slightly different than that of the XU-1. Those that were looking for more of a performance vehicle were not happy with the steering and lack of road feel, but the political climate and performance car regulations changed the state of cars to come. The L34 was introduced as a supped up version of the SL/R 5000 with more power and durability in 1975. This option had bigger tyres and rimes, engine values, twin headers, and a 5.0 V8 308 block that was fast. Additional options were available such as a Holley 4-barrel and hot-cam and other luxuries. Although the original version did not meet the original expectations, another version was produced in 1977 in the LX Torana series called the A9X. The A9X included four-wheel disc brakes and a hatchback version of the model. Although a nice ride and a gorgeous vehicle, the A9X hatchback was not exactly practical. The Torana turned another corner in February of 1977 with the unveiling of the LX which included RTS (Radial Tuned Suspension). GM-H’s Chuck Chapman, Peter Hanenberger, and Joe Whitesell helped introduce this vehicle handling system which gave the Australian sedans what they needed to give them near precise driving ability. RTS included changing the pivot points on both the upper and lower suspension arms of the vehicle giving it more control. The coils were upgraded and the starring ratio was downgraded for less effort. This allowed both the six-cylinder and eight-cylidner sedans a much more cleaner ride. The Holden Torana developed into quite a vehicle from the original HB family car to the luxurious GTR performance cars. The Torana paved the way for two car families that wanted a sedan with a model line-up that included various options. The Torana would offer cheaper models earlier on such as the HB and the second generation LC and LJs. The Holden Torana HB was cheaper than most vehicles on the market during its time making it much more economical for families. It became quite popular among Australians. The SL version of the HB was a bit more stylish due to TV advertising and some additional physical modifications to the model. The first GTR came in the LC two-door version. This GTR had full instrumentation, distinct physical details with louvers on the fenders, wheel covers and bright paint. Under the hood were front disc brakes, suspension, shock absorbers and a roll-bar. It was an excellent move forward towards the third generation of vehicles. The third generation models would lead to performance car legends remaining popular and famous today. The A9X and XU-1 are still famous and sought after in the racing industry. The LH version included the LH L34 SL/R 5000 and SL/5000 Automatic. This performance car truly dominated the race circuit and set itself apart from its predecessors and other manufacturers. The hatchback and Sunbird were the last vehicles in the Holden line-up and although popular the Sunbird just did not quite live up to the past. The Sunbird did not feel like a Torana, but how could it with the demise of performance cars and the regulations that were required on vehicles in 1975-1976.